Who's running, and who's thinking about running for President? The 2008 election seems to be coming soon, if one reads the news reports. We report some of the speculation here, for potential candidates who are likely to throw their hats into the ring. STATUS REPORTS: We report below the legal status of presidential campaigns. NEWS CLIPS: The latest announcements from the potential candidates. BOOK EXCERPTS: Quotations from each presidential contender's books. Mark Warner: Popularity based on credit for saving state�s finances. Mitt Romney: Opposed gay marriage but played fair and upheld law. Al Gore: An Inconvenient Truth: Gore�s movie about global warming. Al Gore: Global warming captured Gore�s interest as student. Mitt Romney: State universal coverage plan is national test case. 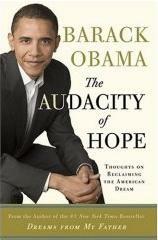 Barack Obama: On cover of Time magazine, about his book & presidency. 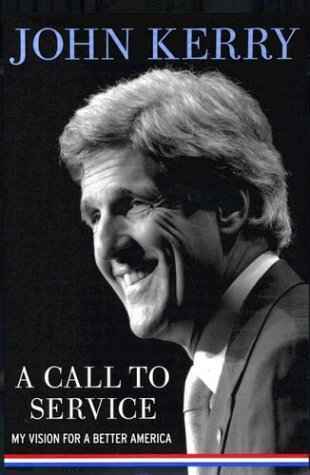 John Kerry: Last nominee to get 2nd chance was Adlai Stevenson in 1956. Rudy Giuliani: Favored for presidential nomination in CNN poll of GOP. Evan Bayh: Bayh sends staffers to early primary states & �Camp Bayh�. 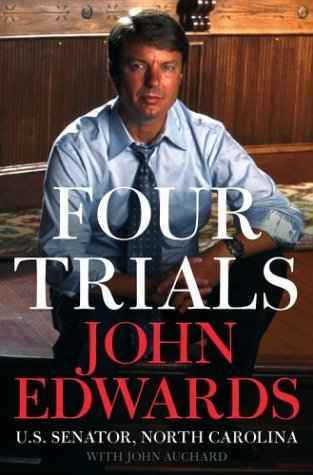 John Edwards: Maintains PAC, One America Committee. Mark Warner: Term-limited as governor in 2008. Mark Warner: We can�t win presidency in only 16 blue states. Russell Feingold: Launched presidential PAC, the Progressive Patriots Fund. Hillary Clinton: Poll: support among women 13% higher than among men. Al Gore: On 2008: �Been there, done that; not pursuing it�. Al Gore: On 2008: can bide his time & raise Internet money later. Jeb Bush: Poll: Jeb would lose to Hillary because of �Bush fatigue�. John McCain: Poll: Hillary vs. McCain in 2008 would be �nailbiter�. Russell Feingold: Declines congressional pay raise. George Allen: Conservative alternative to McCain in presidential jockeying. Al Gore: Parallels to Nixon�s comeback from 1960 vs. 1968. Mitt Romney: Faces questions on Mormonism like Kennedy did on Catholicism. Mitt Romney: Not seeking re-election as governor; speaking around US. Al Gore: Documentary reintroduces more likable Gore to public. Hillary Clinton: Early frontrunner based on name recognition and money. John Kerry: Regrets nothing more that his 2002 vote for Iraq War. John Kerry: Kerry now fully engaged in fighting Swift Boat Veterans. John Kerry: Kerry releases Navy records to prove his version of Vietnam. John Kerry: Caught off-guard in 2004 by unexpected attacks on war record. 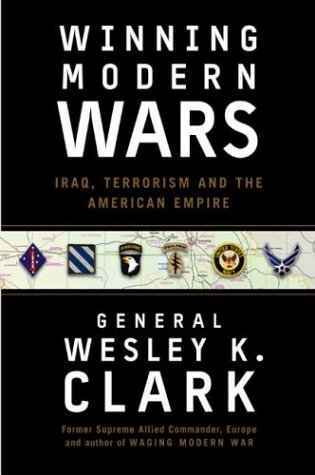 John Edwards: On voting for Iraq War: �I was wrong�. What does the legal status of presidential candidates mean? For all candidates above, we assume they are running for president in 2008. There is no legal obligation at any time during 2007 to actually file papers nor make any form of announcement. Hence candidates do so primarily for publicity purposes. EXPLORATORY COMMITTEE: Candidates use the term "exploratory committee" to indicate they are still at a tentative stage of preparation. An "exploratory committee" is a kind of campaign committee which allows donations while "testing the waters", without the full disclosure rules of a campaign committee. They are legally the same thing -- organizations formed to allow collecting donations for a campaign. DRAFT COMMITTEE: A draft committee is a political campaign committee formed without the authorization of the candidate, for the purpose of building a campaign network prior to any candidacy announcement, or to persuade the candidate to announce. They are grassroots organizations, usually, formed to publicize a potential candidacy. POLITICAL ACTION COMMITTEES: Many candidates form PACs for the purpose of collecting donations to redistribute to other candidates (and to publicize the candidate doing the redistribution). PACs legally differ from campaign committees because they are (in theory) not focused on a campaign. Nevertheless, they are sometimes a good indication that a candidate plans to run. CANDIDACY PAPERS: Candidates must file legal paperwork with the FEC for either of the above types of committees. This paperwork is public, so the press reports when a new campaign committee is formed. CANDIDACY ANNOUNCEMENT: There is no legal meaning to "announcing" a candidacy, and typically candidates "announce" as often as possible. The press reports heavily on the first announcement, although candidates recognize that and try to get more than one "first" announcement. This election cycle includes numerous pre-announcements such as announcing formation of an exploratory committee; announcing a timeline for creating an exploratory committee; and announcing the candidacy itself. 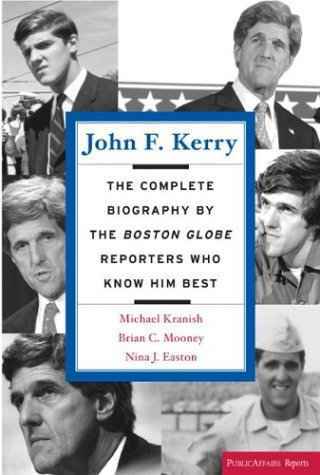 PRE-CANDIDACY BOOK: A good indication of planning a presidential run is writing a book. Books by politicians are ostensibly about one's views on an issue or on politics in geenral, but in reality serve to introduce the public to the candidate and to get one's issue stances on the record. 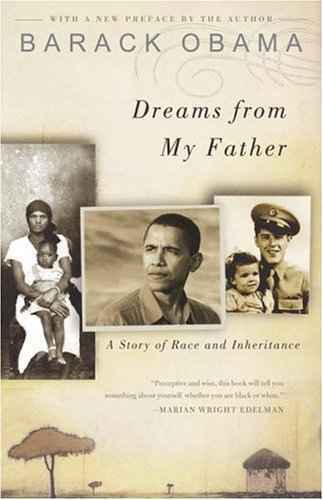 We list many such books below, and we will excerpt them in advance of the 2008 campaign. NOTE: We stopped updating the news reports once the campaign season got "officially" underway. For more recent news, click on our Recent News Page. And for more recent excerpts from each candidate, click on their individual links above. June 19: Mayor Mike Bloomberg (I, NYC) re-registers as independent (instead of Republican). Bloomberg switched from Democratic registration in 2001 to run for Mayor. May 30: Sen. Fred Thompson (R, TN) hints at announcing. May 13: Sen. Chuck Hagel (R, NE) suggests he'd run as an independent with NYC Mayor Michael Bloomberg. Apr. 26: Gov. James Gilmore (R, VA) formally announces campaign. Apr. 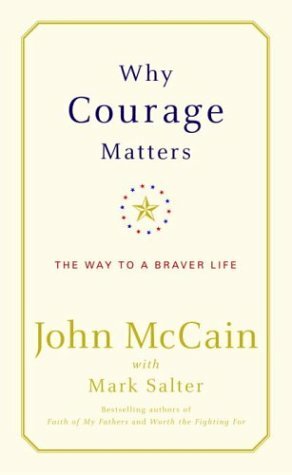 25: Sen. John McCain (R, AZ) formally announces campaign. Apr. 2: Rep. Tom Tancredo (R, CO) formally announces his candidacy. Apr. 1: Gov. Tommy Thompson (R, WI) formally announces his candidacy. Mar. 30: Sen. Fred Thompson (R, TN) speculation goes public. Mar. 1: Sen. John McCain (R, AZ) informally announces his candidacy. Feb. 23: Gov. Tom Vilsack (D, IA) withdraws his candidacy. Feb. 13: Gov. Mitt Romney (R, MA) announces his candidacy. Feb. 10: Sen. Barack Obama (D, IL) announces his candidacy. Feb. 5: Mayor Rudy Giuliani (R, NYC) files FEC papers for candidacy. Jan. 31: Sen. Joe Biden (D, DE) announces his candidacy. Jan. 29: Gov. Mike Huckabee (R, AR) announces he will file FEC papers for an exploratory committee. Jan. 25: Rep. Duncan Hunter (R, CA) announces his candidacy and that he has filed FEC papers for an exploratory committee. 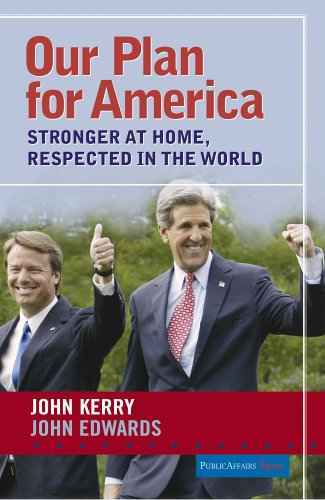 Jan. 24: Sen. John Kerry (D, MA) bows out of Presidential race. Jan. 20: Sen. Sam Brownback (R, KS): forms Exploratory Committee. Jan. 20: Sen. Hillary Clinton (D, NY): forms Exploratory Committee. Jan. 19: Gov. Bill Richardson (D, NM): forms Exploratory Committee. Jan. 16: Rep. Tom Tancredo (R, CO) announces he will file FEC papers for an exploratory committee. Jan. 16: Sen. Barack Obama (D, IL) announces he will file FEC papers for an exploratory committee. Jan. 12: Rep. Ron Paul (R, TX) announces formation of exploratory committee. Jan. 11: Sen. Christopher Dodd (D, CT) announces he will file FEC papers for the presidency. Jan. 10: Rev. 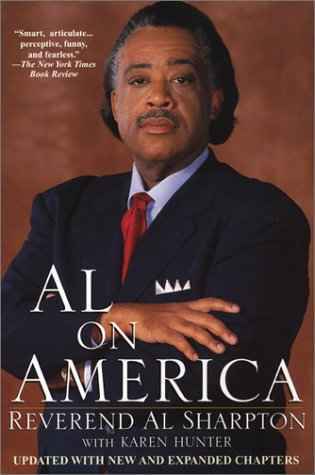 Al Sharpton states publicly he's considering another presidential run. Jan. 9: Gov. James Gilmore (R, VA) announces plan to form Exploratory Committee. Jan. 8: Sen. Joe Biden announces plan to file candidacy by end of January. 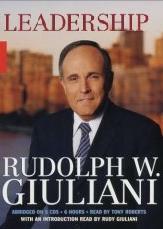 Jan. 2: Mayor Rudy Giuliani has $100M campaign strategy leaked. Dec. 27: Sen. John Edwards (D, NC) announces candidacy for president in New Orleans. Dec. 20: Gov. Mark Sanford (R, SC) arouses speculation. Dec. 18: Sen. John Edwards (D, NC) plans announcement of candidacy for president. Dec. 17: Sen. Evan Bayh (D, IN) withdraws candidacy for president. 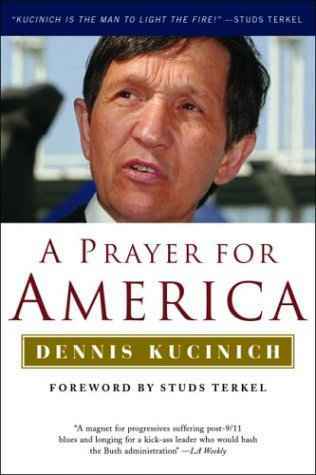 Dec. 11: Rep. Dennis Kucinich (D, OH) announces candidacy for president. Dec. 10: Sen. Barack Obama (D, IL) visits Democrtic party events in New Hampshire, the first primary state. Dec. 4: Sen. Sam Brownback (R, KS) forms exploratory committee and starts 10-state tour. Dec. 2: Sen. Hillary Clinton (D, NY) began meeting with Democratic members of Congress to "actively consider" her exploratory committee. Nov. 29: Sen. Gov. Bill Frist (R, TN) withdraws from Presidential race, stating he will go on Sabbatical from public life. He had raised $7.5 million for his PAC during 2006. Nov. 16: Gov. Tommy Thompson (R, WI) announces he will form an exploratory committee in January. Nov. 13: Sen. Russ Feingold had formed a presidential PAC, but called it off for 2008, leaving open a possible run in 2012. Nov. 8: Gov. Tom Vilsack (D, IA) files FEC papers the day after the 2006 election. Oct. 12: Gov. Mark Warner (D, VA) ruled out running for President in 2008. Pundits speculate he may run against Sen. John Warner for Senate in 2008, or for Governor of Virginia in 2009.